I might be missing something but what's wrong with ʌn for the last syllable, given that you've already decided on ɒ for ㅓ in the previous syllable? To me ʌn is a better approximation than ʊn to ɯn. Paul H: What you're missing is that ɯ is a close (high) vowel, whereas English ʌ is nearly open (low). what's wrong? Presumably, ʌ is way to low and open to serve as a tolerable approximation of ɯ. The latter is high, the former is low, a-like, at least in standard Southern English pronunciation. Yes, I take your point(s). I suppose what I'm quibbling with is the statement "Pronouncing it as English ʌ is wrong, since that is the sound we use for ㅓ"; this implies that ʌ would be the approximation of choice for ㅡ were it not already used for ㅓ. Following Governor Perry's lead, I guess one pronounces "Il" (as in Kim Jong Il) as "the second" ...? 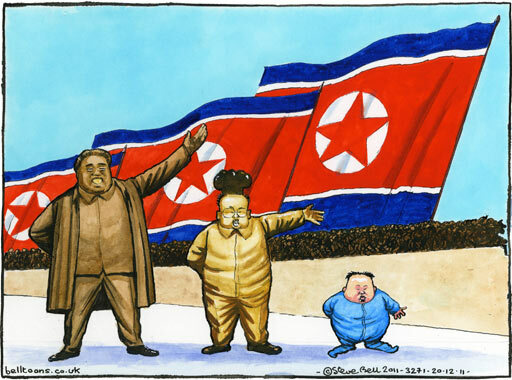 But the Kims may be out of date. If, as I guess from the phonetic transcription and the two transliterations, both syllable-initial consonants are unvoiced but unaspired contrasting with aspired ones, how comes the second one is mapped to /dZ/ «J» but the first one is *not* mapped to /g/ «G»? The first syllable is inaudible, but the remainder of the Forvo pronuncation you link sounds like /dʒɒŋ ʊn/ to me. Thanks for posting it. 'although the character is usually pronounced 금 [kɯm] geum, it is pronounced 김 [kim] gim when used for the family name and names of some cities'. Partial answer to Army1987: In Korean, voicing is not distinctive. Lenis stops and affricates are voiced in voiced environments, but unvoiced in others, notably in initial positions. So if you said the full name Kim Jong-un in Korean, the affricate written 'J' would be voiced /dʒ/ since it would come between /m/ and a vowel, but if you only said Jong-un, it would be /d̥ʒ/ because it would be an utterance-initial consonant. A consonant starting a Korean surname would be utterance-initial in most cases, which is why traditional romanizations map these to unvoiced sounds. Kim, Park, Chung, etc. all start with lenis consonants and would be written Gim, Bak, and Jeong in the official South Korean romanization system. But the name of the South Korean president is romanized Lee Myung-bak, where 'bak' is the same syllable as the surname 'Park' in Korean, but the romanization reflects the fact that the stop is a voiced /b/ in this environment. Not that romanization of Korean names are systematic in this regard, mind you. There are plenty of nonsensical renderings like Cha Bum-Kun, where the 'K' actually represents a voiced /ɡ/. As a native Korean speaker, I've never found a satisfactory way to anglicize Korean names containing /ɯ/. But for me the more salient feature is its unroundedness rather than its being a high vowel. Some Korean dialects merge the back unrounded vowels /ɯ/ and /ʌ/, and its speakers might use something close to [ə]~[ɤ] for either vowel. So /ə/ in English is probably the vowel closest to Korean /ɯ/ for me, although obviously there's the problem that it occurs only in an unstressed syllable in English. Anyway, in English, I would actually probably use /ˈdʒʌŋ.ən/ to rhyme with young 'un (I'll leave aside discussions about the first vowel here). Using a syllabic /n/ would be even better if it didn't sound unnatural in English following /ŋ/. By the way, if you take the entire name as a unit, then 김정은 could indeed be transcribed as Kim Jŏng-ŭn in McCune-Reischauer-type romanization; the original system as far as I know does not prescribe whether to treat surnames and given names separately. But the ALA-LC system which is a version of the M-R romanization with more detailed guidelines on matters such as word division and treatment of personal names does treat surnames and given names as separate words, which gives Kim Chŏng-ŭn. Several variations of M-R romanization have been used in both Koreas throughout the years, and it may be that the North adopted a variation that treats personal names a bit differently from the ALA-LC version.